Deep blackened bronze finish with translucent alabaster glass pairs well with wood and natural colour furniture. Added embellishments to frame gives accent lighting to kitchen, dining area, or entry. To clean glass or replace bulbs simply unscrew finial button on bottom and remove glass. Hardwire installation required, instructions and hardware included. Combining a classic mahogany bronze finish and posh styling, the Glomar 2-Light Mahogany Bronze Flush Mount beautifully highlights the charm of your home. A warm, champagne-washed linen glass shade complements the dark finish and provides even, subdued light throughout your room. 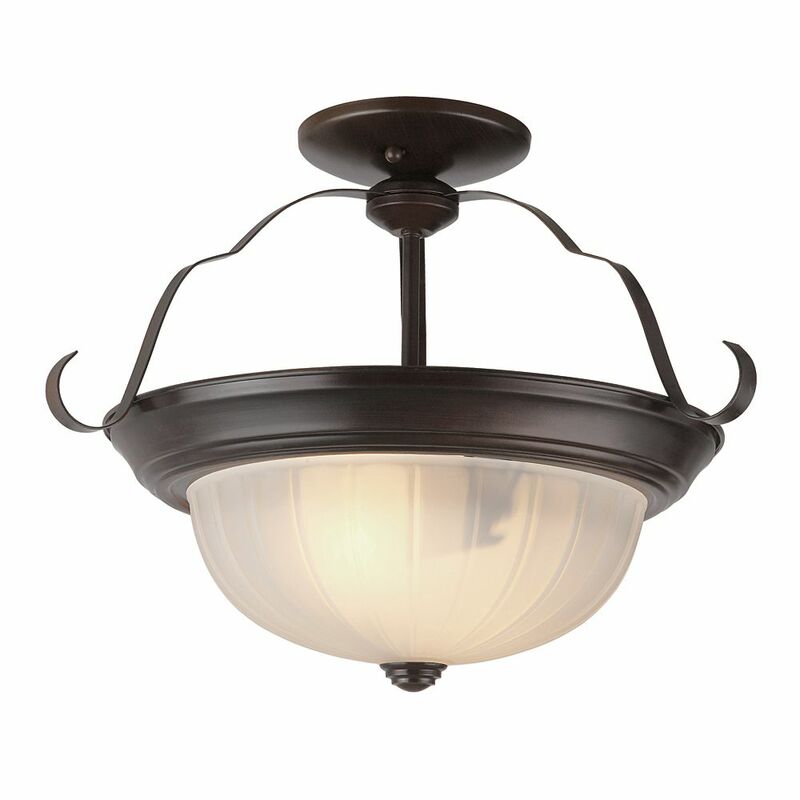 This versatile fixture is a perfect choice for bedrooms, hallways, dining areas and more. Rich oiled bronze finish and crisp white frosted glass for a striking contemporary look. Sophisticated and charming indoor light fixture for kitchens, entryways, or baths. Bronze finial button with matching frame and trim in a 13" flush mount. Enjoy Progress Lighting's version of a starry night with this LED square ceiling mount fixture. The geometric panel glass has an etched glass diffuser and Architectural Bronze plate. 90+ CRI, 3000K, 1,211 lumens. Dimmable to 10% with ELV type dimmers. Can be wall mounted also. Bronze Brim 13 inch Kitchen Flushmount Classic melon glass shade for a traditional contemporary look. Full coverage flushmount easily hides existing ceiling flushmount opening. Suitable for damp locations making fixture a perfect fit for bath, kitchen, and service porch areas.